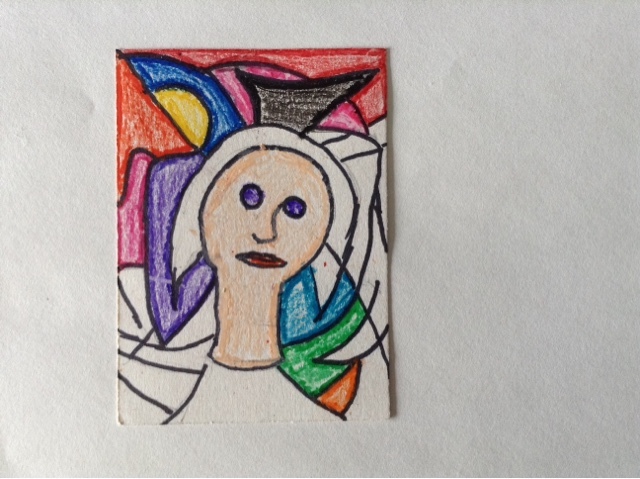 Mini Matisse: What is a Quality Artist Trading Card? 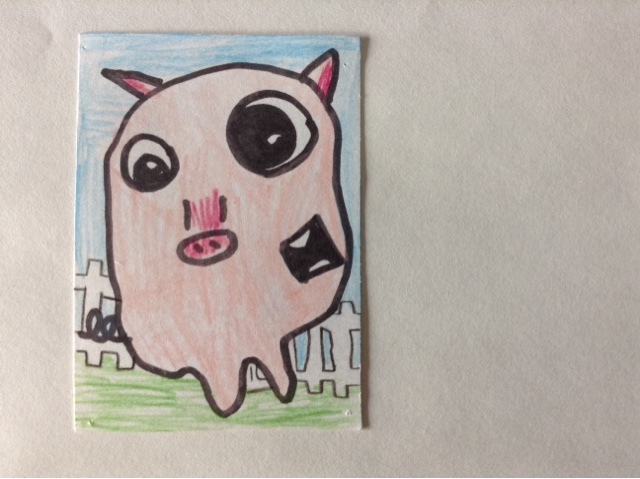 What is a Quality Artist Trading Card? It's important to create a quality Artist Trading Card when swapping with another artist. I will be presenting this video above to my 4th grade towards the beginning of this school year. 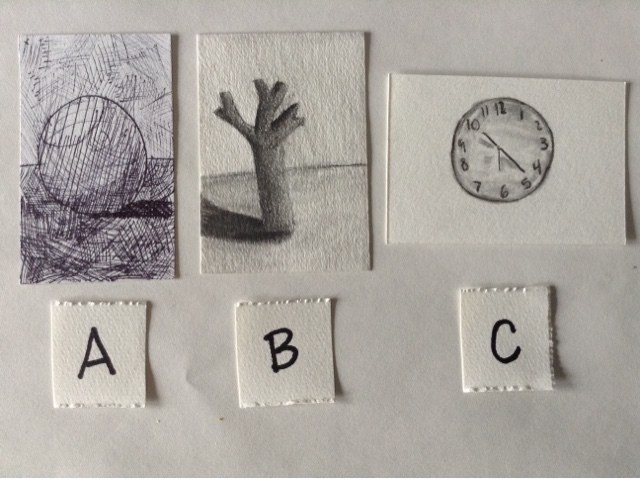 This will be a quick explanation of what a quality ATC is, and why it's important. 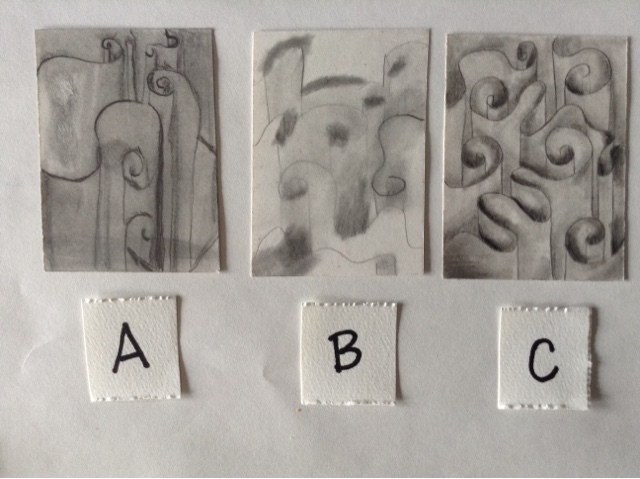 Below is a little 'game' I will bring my students through called 'RATE THAT CARD'. 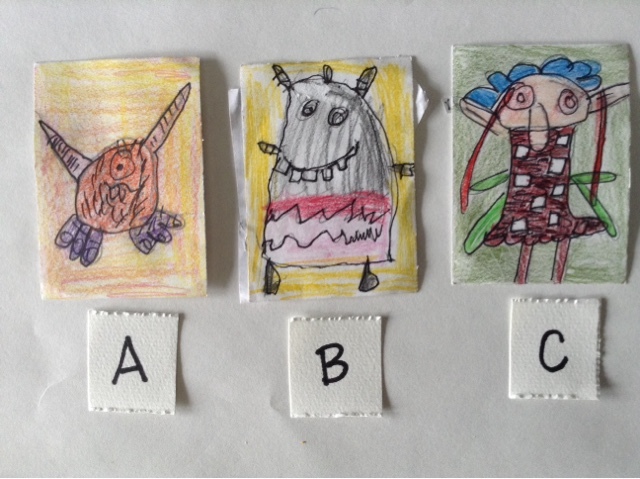 You can do this by asking students to rate the cards at home, in small groups in your classroom, or in a large group. 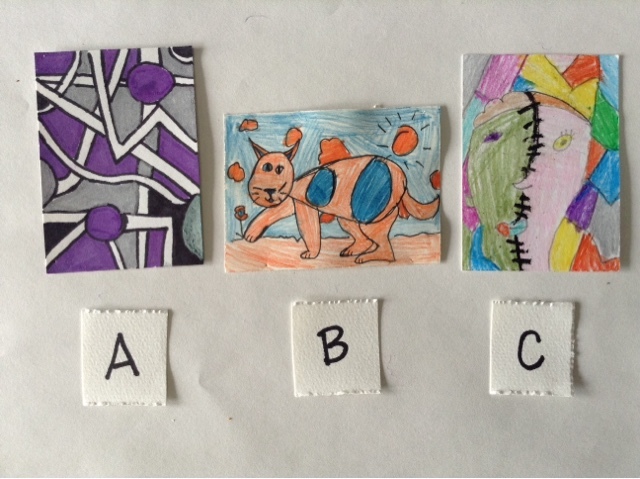 I have given some individual card options that I will be talking about in large group, in class. Towards the bottom, you will see cards that can be compared to one another. I see myself using this in small groups and then bringing back to the large group for further discussion. I also have so many card examples below that I can see myself not doing this all at once, but perhaps using this throughout the year as a refresher or reminder to students about the quality of ATC's. Do you think the Artist took their time? What makes you think that? Do you think they used the materials correctly? What do you see that makes you say that? Do you think they are proud of their work? 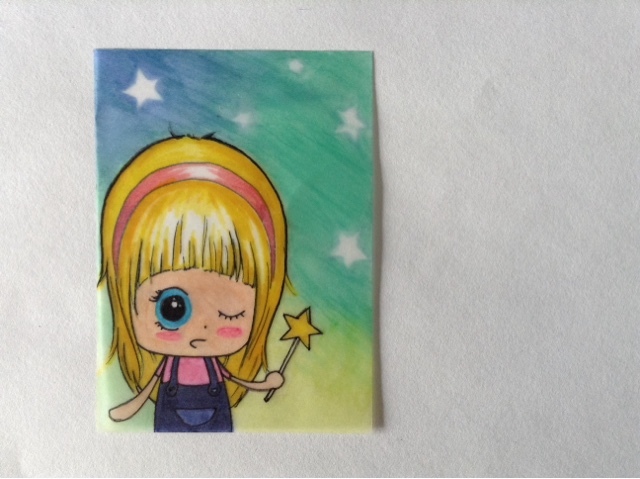 How long do you think this artist worked on this ATC? Did this artist fill the space well with their design? Do you think this was the first time this artist created designs like this? What makes you think that? Is this image something that would be successful if it was really big? Would an art gallery hang it on their wall? Why do you think that? Are the materials used correctly and successfully? What makes you say that? Did the artist fill the space with their design? Do you think this was a successful design? Why or why not? 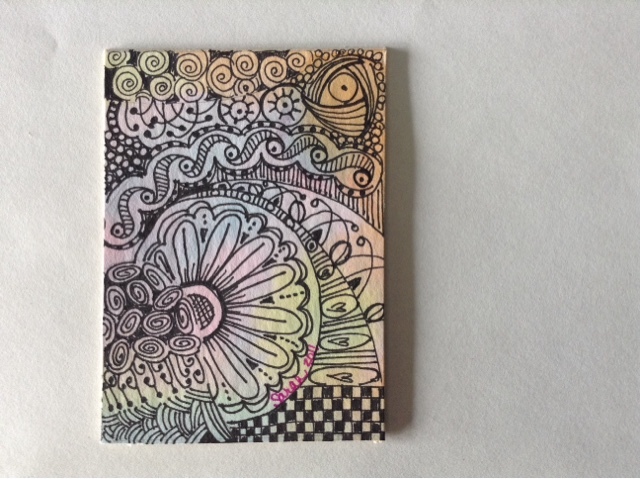 Is this an ATC that you would want to add into your collection? Why or why not? 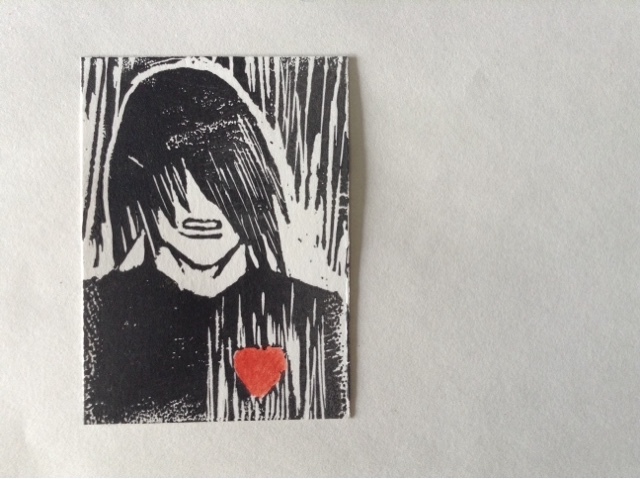 How much time did the artist take to create this ATC? Did they use enough time? What makes you think that? Is this a successful ATC? Why or why not? Do think this ATC is complete? What makes you say that? Does it matter how old the artist is when thinking about the quality of a card? What are 3 reasons you would say it is, or is not quality? Which card is the highest quality card? Why did you choose that one? Why do you think these cards look different from one another? Look at the card that you think is the least quality card. Is there something that the artist could change to make it more successful? If so, what? Are all of these cards quality? Why or why not? What one do you think is most quality? Would you be excited to add these cards into your collection? Do you think the artists were proud of these cards? Why or Why not? What artist put in the most time on their card? What makes you say that? 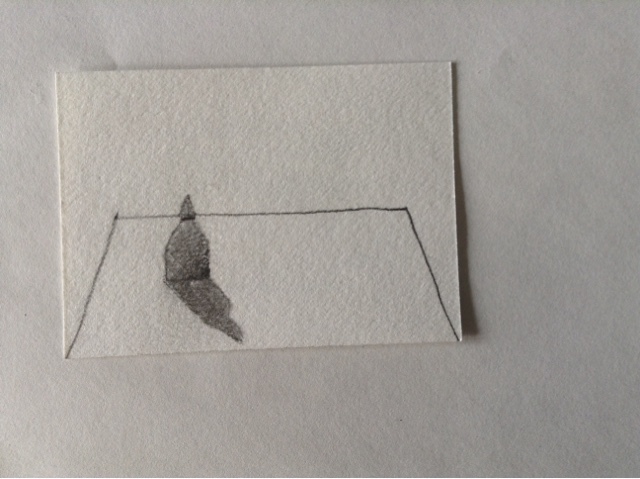 Is there something that the artist with the least quality card could do to improve their work? What would your suggestion be? 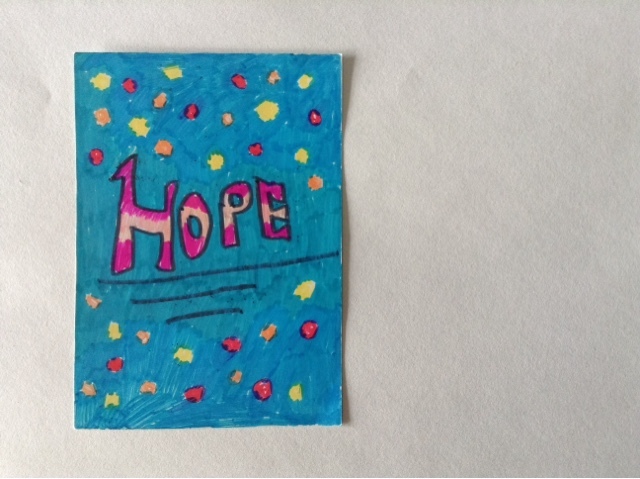 These cards were made by adults, do you think they did the best they can on these cards? Do you think that there is one better than the other? What makes them different? What one is the best card in your opinion? Why do you think it's the highest quality? Do you think all of these artists use their materials correctly? If not, what would you tell them to improve? 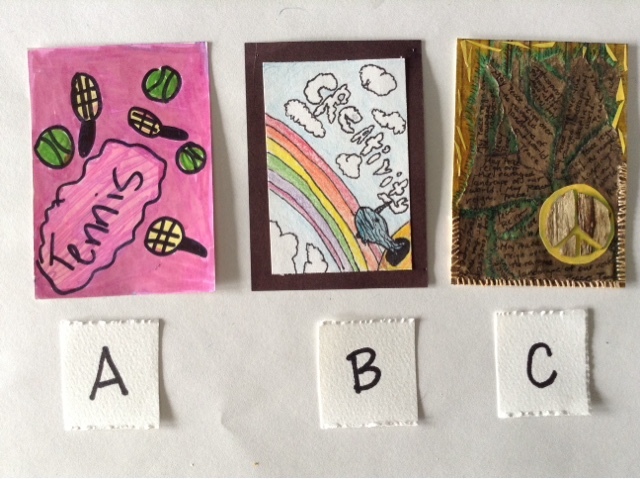 Do you think that these artist were proud to send these ATC's in the mail? What card was created by the older student? What makes you think that? What artist put the most amount of effort into their card? Why do you think that? 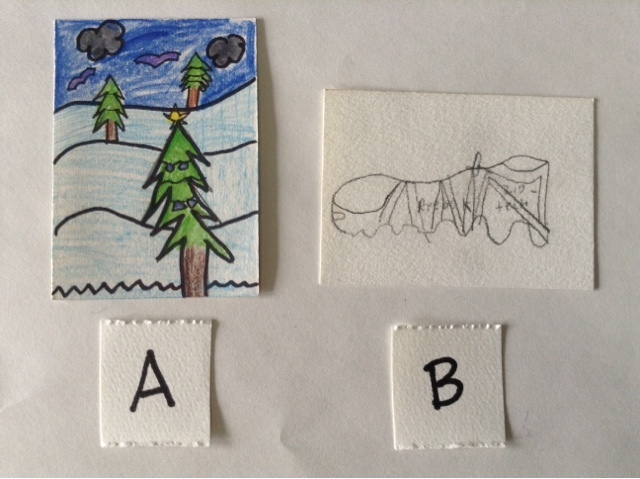 Do you think that you can add words into an ATC and have it be quality? Do you think any of these cards below are quality? Is there a card/s that you would not want to add to your collection? Why? Do you think the artist of these cards all put in the same amount of time to create the cards? Why or why not? 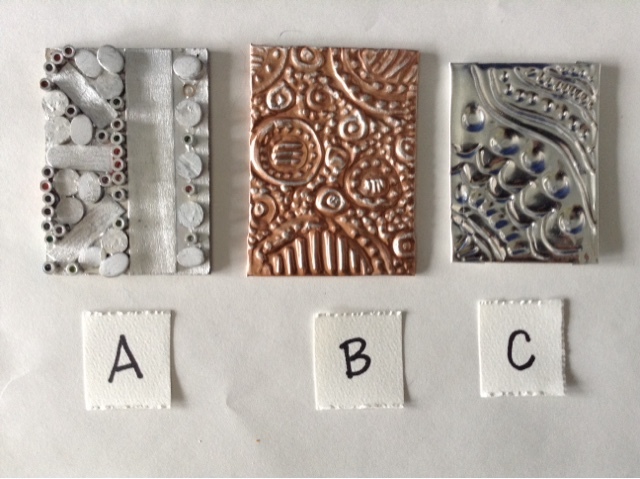 Can low relief sculptures be a quality ATC? What makes you think that? Do you think these cards took the same amount of time as a card that would have been drawn? 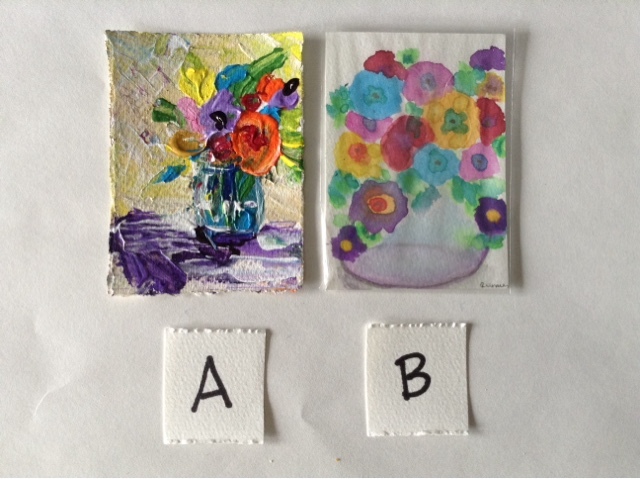 Would these cards be successful on an Art Gallery wall for display? Would they look good large? What makes you think that?